So, you have your pond, and you’ve bought your plants, now what? 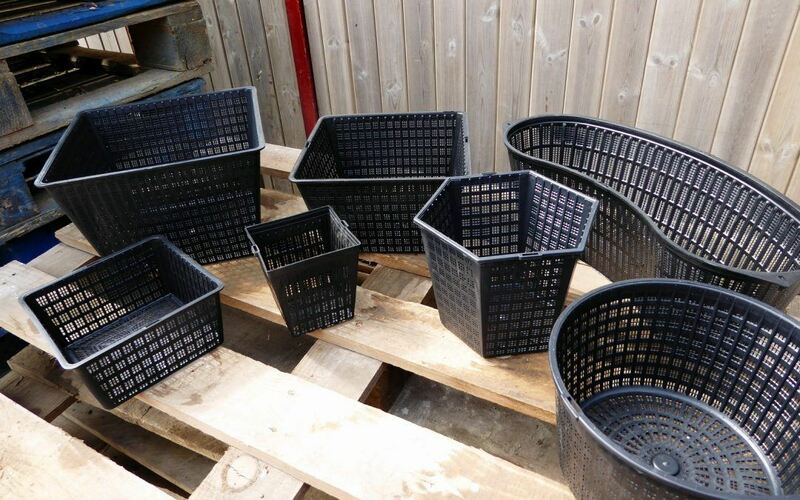 First of all, for best results, we advise our customers to grow all plants in individual containers (except for some oxygenators), often referred to as planting baskets or crates. 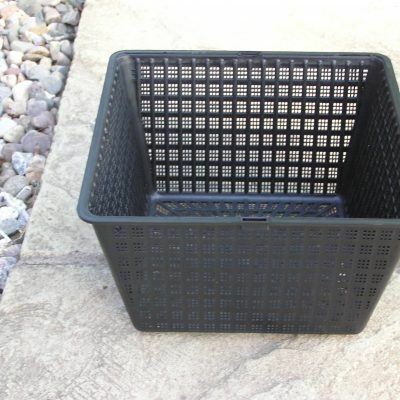 Unlike standard flower pots, planting baskets are made from a fine mesh. 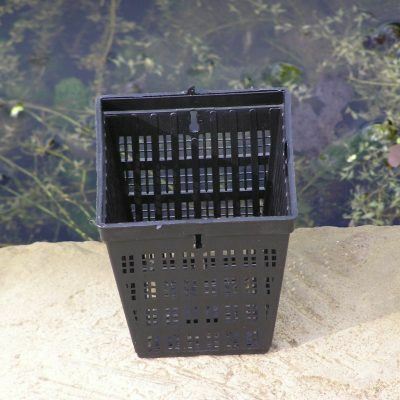 This allows the plant inside to send feeder roots out of the basket into the surrounding water. Planting baskets used to be made from large square mesh with around 2cm holes and, like hanging baskets, had to be lined with a square of hessian to keep the soil in. Of course, this worked for a bit, but the liner eventually rotted, losing the soil and adding to level of detritus in the pond. Not good news in the battle against blanket weed! 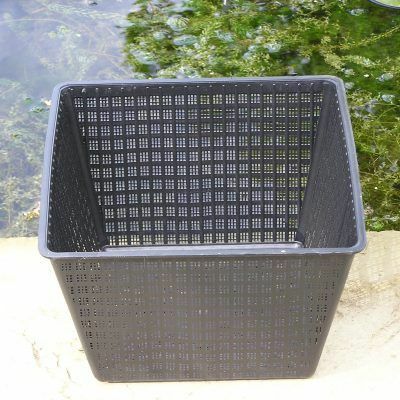 Today we have wonderful micro-mesh baskets of all shapes and sizes to choose from. The mesh is sufficiently small to keep the soil in, but allows the plant roots to forage through into the water. 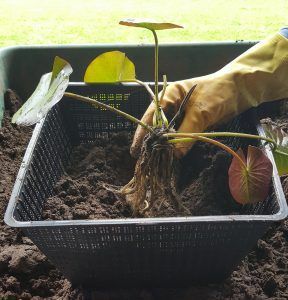 Each variety of plant should be planted into their own basket. Planting different varieties in the same basket only leads to conflict, because the strongest plant will crowd out the others. In addition, when choosing your baskets always go for the biggest. Pond plants will grow to fill the basket they’re in and they can grow rapidly – you don’t want to have to keep re-potting! One of the most valuable pieces of advice we can give anyone constructing a pond is to remember to include shelves for marginal plants. These have to be big enough to accommodate planting baskets. About 20-30cms wide and 20-30cms below the surface of the water will give maximum planting flexibility. Smaller baskets can always be propped up on tiles, bricks etc. all water lilies except pygmaea varieties. tall marginal plants like acorus, large irises and tall sedges – so they aren’t blown over in the wind. bigger marginal plants like caltha palustris polypetela, irises, pontedaria cordata and lythrum. big displays of the smaller varieties – all plants grow to fill the available space. small and pygmaea varieties of water lily.